Contents: DVD, text and manual shipped to you. online multiple-choice test. Contents: DVD and text shipped to you. online manual and multiple-choice test. Contents: DVD, text, manual and multiple-choice test shipped to you. Already own the Mastering Chair Massage DVD or Chair Massage text? Call us at 1-800-364-5722, 9am to 5pm, to discuss your enrollment options. Presented in a format that will educate, inspire and prepare you to integrate seated massage into an existing practice, create a new business exclusively with seated massage or develop classes to educate practitioners in this modality, Mastering Chair Massage begins with simple techniques and progresses to enhanced skills while emphasizing good body mechanics throughout. Mastering Chair Massage demonstrates easy to follow, step-by-step instructions on applying over 50 techniques, important anatomical terms and self-care. A segment of the course materials is devoted to additional techniques and adaptations giving you more tools to work with, such as special considerations for working on clients in wheelchairs, elderly clients, or those with certain injuries and physical limitations, as well as specific techniques for treating low-back pain, its causes, when to perform chair massage, and when it is contraindicated. By following along with the video you will be able to incorporate many techniques and ultimately develop personalized chair massage sessions for clients. As a professional massage therapist, it is important to learn and perfect new skills. By applying what you learn in Mastering Chair Massage, you will be able to expand your practice, reach more people in your community and become more successful. Diana is a good presenter. She explains well and is easy to understand. I found it helpful that she used the skeleton to show exact locations of the muscles and bones. 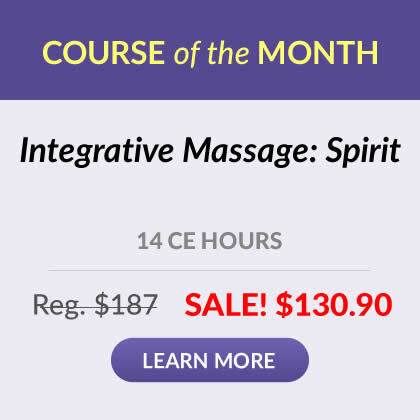 I will definitely use the techniques in this course in my chair massage sessions. Wonderful! I love having the DVD so that I can go back later and re-educate myself. Informative, effective and very useful and I look forward to utilizing your course materials in the future. I enjoyed the course, I was glad to be able to read & practice the course at my own speed. Very greatful for the practice exam before taking the real test, that really helped me prepare! I will remember to use your services again in the future. This was an excellent course in chair massage. I learned a lot more than I did in school. I feel so much more confident in giving a chair massage now. The course material is a good addition to my massage therapy library as well. It was great! 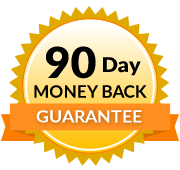 Informative, affordable, and most importantly I could do it as fast or as slow as I needed to. I'll definitely be taking more. I was able to implement techniques immediately into my practice. Best cont ed course I have ever taken! I found the demonstration of proper and improper movements/strokes to be extremely helpful! I feel this course was a good review of subject matter already familiar, and added to my knowledge base and practical skills as well. The DVD and texts go hand-in-hand and are beneficial for various learning styles. Thank You for an enjoyable course! Loved it. would use your home study program again! This course was helpful and gave me some new techniques to use in my chair massage routine. It also refreshed my memory on some other info that had slipped my mind since schooling. The course contents were well presented. I especially enjoyed Ms. Haynes' dvd presentation and found it most beneficial in better understanding chair massage techniques. Very informative course. Will use your services again! I do a lot of chair massages and this course gave me lots of new and better ways to treat my clients. Thanks!!! No criticism, This was a great course! This course really helped to specify what exactly chair massage takes to do. I didn't think it would be so technical. I will be doing this again. Excellent course, and very helpful for my practice. I have been doing chair massage for 13 years and I still learned lots of new techniques and perspective. Thanks. I will take more courses from you in the future. I was very pleased. Thank you! I appreciated the landmark review,medical conditions review, and the business sections especially. The course contained more info than I expected. Very interesting materials, and very useful protocols for my chair massage practice. Thank you! I have referred your website to other massage therapists. I appreciate your information and have already been applying some of the information I've learned already. A wonderful course! Easy to follow along with, held my attention, informative, and I found the information extremely helpful and will use it in my practice. Did I mention a very affordable price as well. I would highly recommend!!! I'm a slow reader and usually lose interest fairly quickly so I liked that I could read but also have my chair set up and practice at the same time. I really like that there was also a dvd. Very professional and up to date material. Good enough to implement into a massage school curriculum. Very thorough course. A great refresher. Only had a bit of a problem getting to the site where I could complete the online testing. Overall....A+ rating!!! Thanks!!! The home study course, on chair massage, was far beyond my expectations! Kudos to all, on putting together a very professional, instructive and informative course. Thanks. I was able to take a couple hours each day and review the material at my own pace. Easy to follow and very informative. The DVD was excellent! The instructor was knowledgable and I will be able to use her techniques in my practice. This course was quite informative and very precise. I highly recommend every therapist to check this course out. You will not be disappointed. Course was great. I learned more than I expected to, and also gained a few techniques I can use in table massage practice as well. The Business section was really good too, it gave lots of insight into marketing for chair massage which was helpful. The course "Mastering Chair Massage" surpassed my expectations. I have never taken an online course that was as thorough. The work books and dvd were excellent in both substance and presentation. Have taught and practiced massage, to include chair massage for many years. Learned a few new approaches. Really liked the Scapula triangle hold. For the most part, the instructor provided good instruction with good demonstrations. However I was surprised to see so much work being done by moving the thumb only. She did show how to do supported thumb, but my thoughts are that since thumb injuries are one of the most common injuries by LMT's, I would reconsider teaching someone to do work such as cross fiber friction by using the thumb only. If the work was being done by moving the body instead of the thumb, that was not shown on the screen. Also I really like the information in the chair massage text book. That will be a great source for me in my future practice. Great. Loved the included course books and DVD. This was a great course with techniques that I will definitely be using, not only with my chair but also with my table. Very comprehensive. This class was a great review of chair massage. It has been about 10 years since I was in school and learned this material. I use chair massage as volunteer time for my practice and I needed this course to enrich my skills. Thanks, I put the knowledge to use immediately, both in a chair and on the table. I really enjoyed this course, it was very informative and very well presented. Clear and to the point. I'm very interested to see the other courses you offer. I am impressed. Have been practicing for 17 years now, this course is good! Overall, this course was superb. Extremely detailed, covering everything from types of massage chairs to business and marketing. All this was backed up by and excellent DVD. Good job! The material was clear and the video was very useful. The material provided was excellent. I learned so much. Being a business owner, I learned a lot to enhance my massage business. I would highly recommend this course to everyone. It was an excellent course and the test preparation helped me a lot. I liked the video demonstration. Each step of massage was very clear, understandable, very polite and nice communication and timing. I am very thankful to the instructor Diana Haynes. wow, this was a very comprehensive course!! A ton of material, well done! Explain reasons for utilizing chair massage and identify situations in which chair massage may be used. Illustrate the importance of good body mechanics and keeping healthy. Review techniques appropriate for chair massage. Identify major body landmarks used in chair massage techniques. Describe more than 25 specific techniques used in a typical 30-minute chair massage. Demonstrate understanding of massage techniques through 15-Minute chair massage sequence. Explain the importance of personal connections and creative partnerships as it relates to chair massage as well as various forms of advertising and publicity used to promote chair massage. It met the excellence I was expecting from your materials. There are a lot of these opportunities for home study out there and I keep returning to your courses. In my opinion, you are the leading provider for home study courses in massage therapy. Thank you for your help in satisfying my continued desire to learn more and new things and the required continuous education for my credentials.